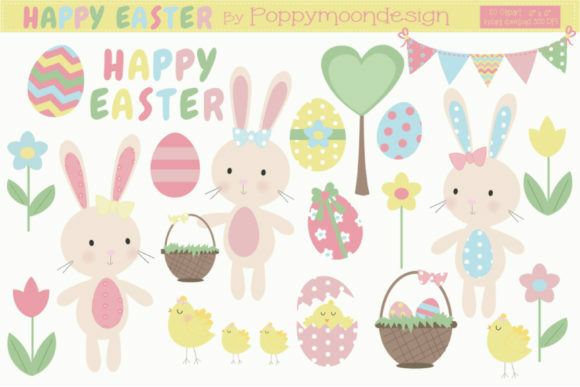 A sweet happy easter clipart pack, using a pastel colour palette. Pack includes, bunnies, chicks, Easter eggs, flowers and more.. Perfect for party invites, scrapbooking, greetings cards and all your easter themed crafting. This pack includes 21 clipart elements, approx size 6″ x 6″, saved on transparent backgrounds, file format PNG.